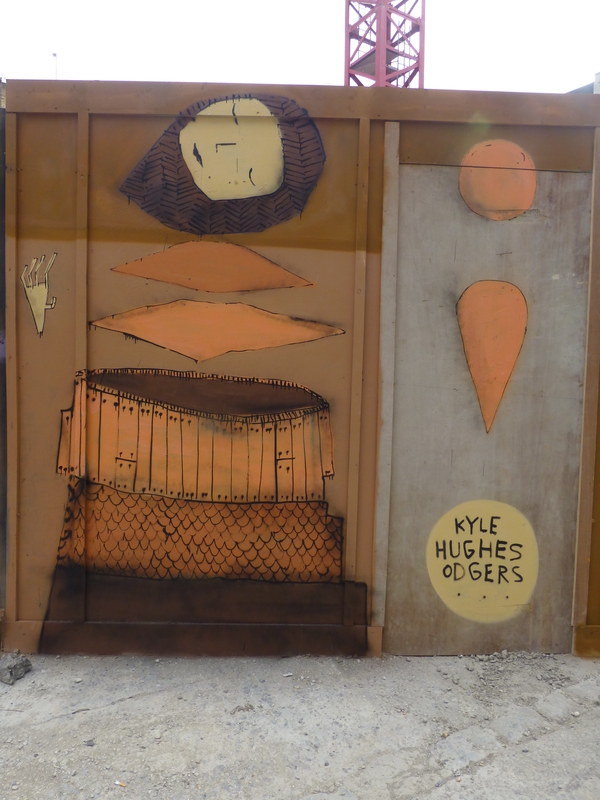 This time last week London was treated to a whistle-stop visit from Australian Street Artist Kyle Hughes Odgers, who put up two works around the Shoreditch/Brick Lane area. 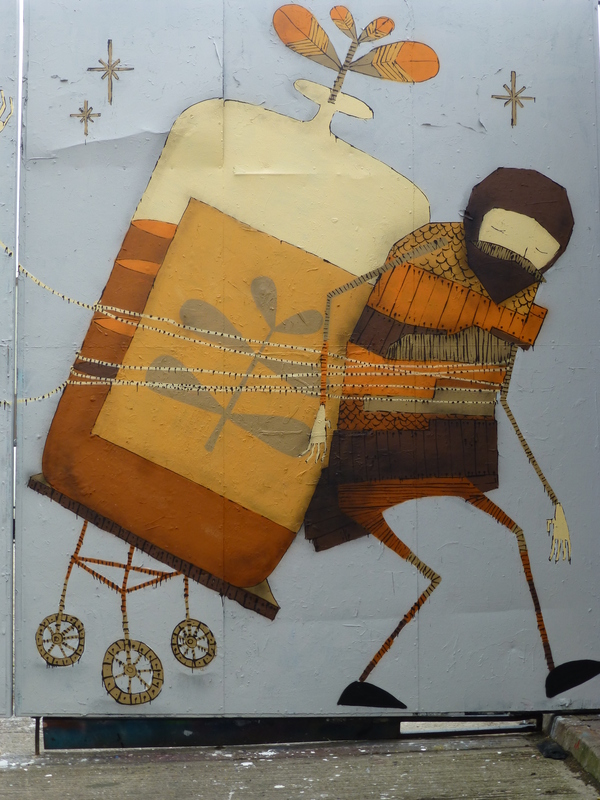 The larger feature work from his visit was placed up in Buxton Street and a smaller piece was hit out in Willow Street. 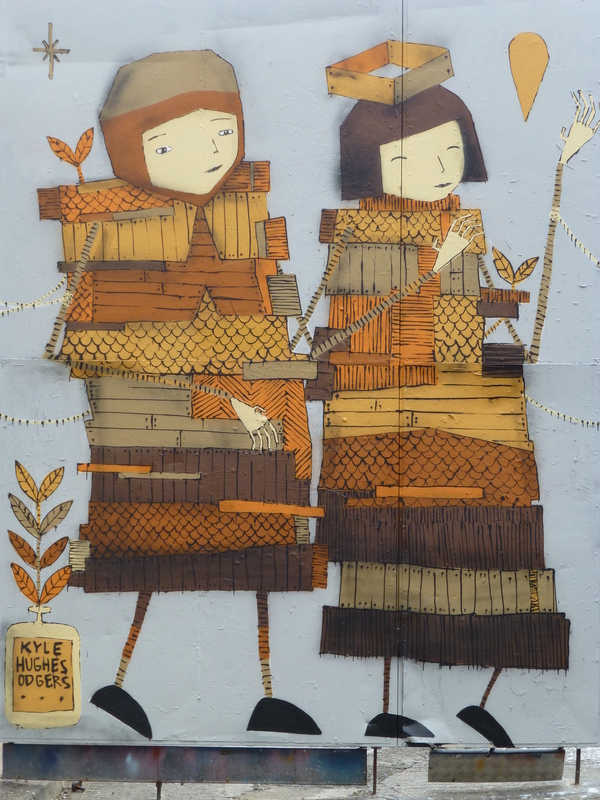 Both of the works feature Kyle Hugh Odgers’ distinct and warm trademark spindly limbed earth-tone characters facing difficult situations ladened by their burdens and suffering set alongside a desire to dream, and both pieces are just a delight to stumble upon and witness, very touching pieces. 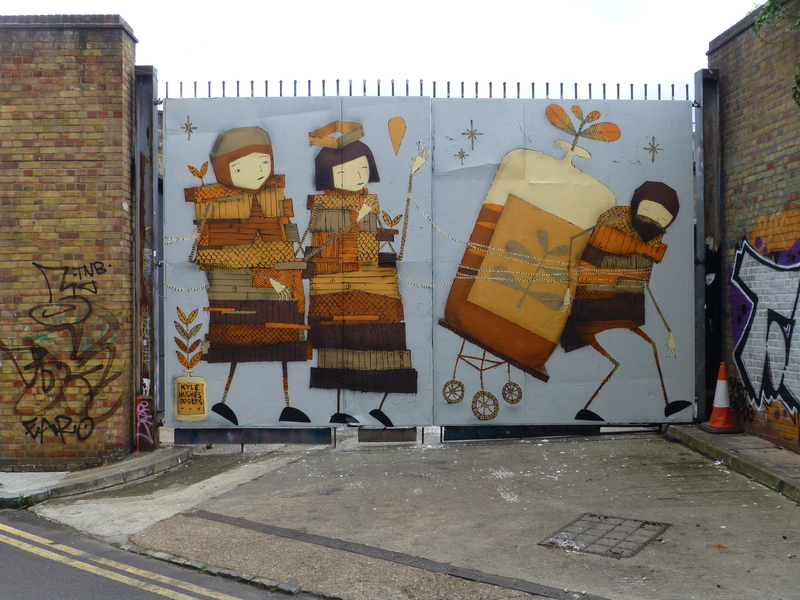 Beautiful work on Buxton Street. 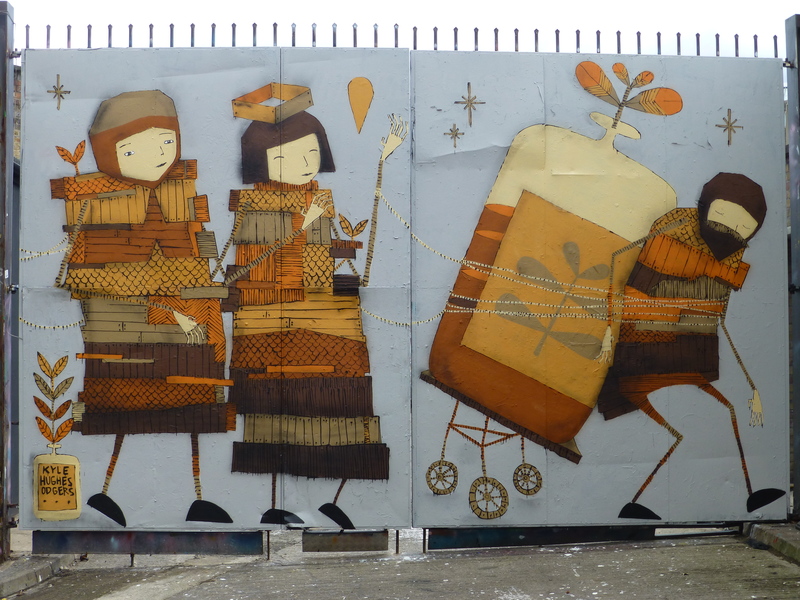 Work on Willow Street, Shoreditch.